One of the most troubling developments in recent years is the creation of yet another movement in Judaism. I wish we could all just be Jews. Some more observant. Some Less. Some not at all. Our beliefs formed mostly by our Jewish educators who have traditionally relied on what was handed down to them from their teachers and parents - going all the way back to Sinai. When the Torah was given at Sinai, it was given to the entire nation. All of us. We were all one standing there K’Ish Echad B’Lev Echad - as one person with one heart listening to the word of God as transmitted through His greatest servant - the ultimate Eved HaShem, Moshe. There were no denominations or even Hashkafos. No Reform. No Conservative, No Orthodox. There were no Chasidim. No Sefardim. No Ashekenazim, No Modern Orthodox. No left. No right. We were one people, united. In short there was Achdus. Something that is becoming increasingly out of reach. The truth is that there have been movements in ancient Israel in the past. Going as far back as Temple era times and continuing to arise throughout Jewish history. But it is also true that only those movements that followed the Torah as interpreted by the sages and rabbinic leaders throughout the generations has survived, and even thrived despite adversity. Recent history has also give us not only denominational differences but Hashkafic ones. But there is a qualitative difference between a denomination and a Hashkafa. A denomination is a break from one group whose differences are so fundamental that they can not be accepted as legitimate by the parent group. There can be no reconciliation between the two because their fundamental principles contradict each other. A Hashkafa is simply a way of looking at Rabbinic Judaism while not departing from it. It is a world view of the same fundamentals that other Hashkafos have. So a Yeshiva, a Chasidic, and a modern Orthodox mentality are all part of the same Orthodox Judaism. Derived of the same traditional beliefs as their forefathers transmitted to them via their parents and teachers. Differing Hashkafos only mean that we have differing world views. But we still have the same basic traditions and follow the same basic Halacha that is Rabbinic Judaism. That should not create divisions. Unfortunately it does. There are far too many Orthodox Jews on the right that want to separate from Orthodox Jews to their left. And there are far too many Orthodox Jews on the left that have the same feelings about anyone to their right. Thankfully there are also many Jews in both camps that do embrace each other. Which gives me hope that some form of Achdus still exists within Orthodoxy. To that end (in part) a new group has been created called TORA. 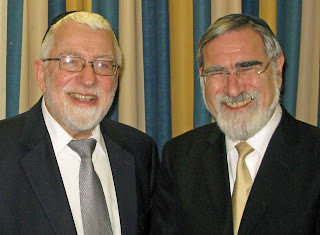 It consists of a group of rabbis from both the right and the left (or more technically –the center) that have joined forces. It was formed to counter yet another new movements that call themselves Orthodox even though they have departed from the teachings of their forefathers by entering new territory against the rulings of today’s rabbinic leaders. They have been rejected on those grounds by rabbinic leaders across the spectrum of Orthodoxy. More about them later. They might believe that their differences are only Hashkafic – since they do follow Halacha meticulously. But when they rebel without a single rabbinic leader supporting them, they have in essence created a new denomination. A group of lower tier rabbis cannot depart from the great traditions of the past without support of even their own rabbinic leaders. No matter how learned they may be at their own level. And no matter how much sense those departures may make to them. But this is what is increasingly happening – thus causing yet a further divisions in Klal Yisroel. They will of course argue that they still remain within the Orthodox fold because of their meticulous observance. But that isn’t enough if your all your mentors rejects them. You can’t define yourself belonging to a group it that group’s leadership rejects you. One might ask, why get so exercised over this? Let them go. Who cares if there is yet another illegitimate movement in Israel? They will eventually go the way of all illegitimate movements. Besides they are minuscule in number. They are not big enough to impact Orthodoxy. Just ignore them! I can’t. The people doing this are good people. I know and admire some of them. And I admire others among them I don’t know. Even though I might disagree with their Hashkafos - there is not a doubt in my mind that they have accomplished much for Judaism in the past. Even now they have the best of intentions. They are trying appeal to the broadest cross-section of Jewry they can. Something we should all be trying to do. By creating innovations to accommodate the spirit of the times they are able to appeal to people that are strongly influenced by that. No one can argue with their motives. They are noble. But it is the steps they have taken to achieve it that is so problematic. One cannot rebel against all rabbinic opinion in order to reach a goal no matter how noble. Because that takes you out of the very goal of inclusion you are trying to accomplish. Instead of making Judaism more inclusive, you have made it more divisive. It isn’t the rabbinic leadership that is dividing Jewry in this instance. They are just ‘sticking to the rules’ as handed down by their own teachers. It is the innovators that are causing the divisions. Even though they have good intentions in doing so. Which is why I agree with a recent statement that has come out by TORA. They have criticized the latest ordination of women by a man that I have truly admired in the past, (and still do in many ways) Rabbi Shlomo Riskin. This phenomenon is increasing and it seems that Orthodox Shuls are increasingly hiring them. As much as I understand Rabbi Riskin’s motives I cannot agree with that kind of rebellion. 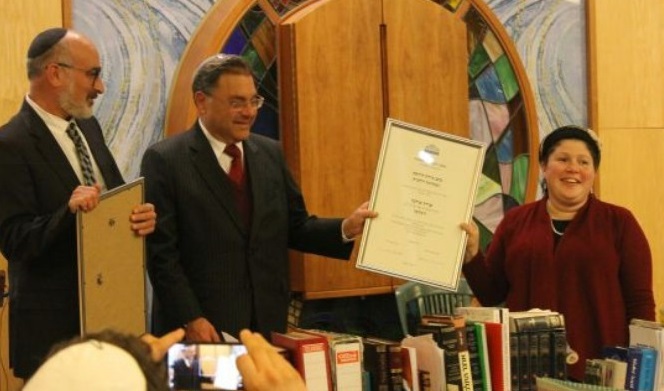 Rabbi Riskin is a highly educated rabbi. But he is not in a category of rabbinic leader. This is not a Charedi versus Modern Orthodox battle. While it is true that most rabbinic leaders are Charedi, there are some, like Rabbi Hershel Shachter that are not. They too have rejected the ordination of women. Which is why the RCA, a body that has thousands of Modern Orthodox rabbis as members has rejected it. Nor to the best of my knowledge have any of the elder religious Zionist rabbinic leaders in Israel accepted it. This cannot be ignored! There are many people on the left who feel that this phenomenon will grow. That it is organic. That it serves the greater good of creating a much bigger Halachic tent within Orthodoxy. But that is a mistake. Because while they may believe they are still under that tent, they are not. Whether they realize it or not their actions have removed them from it. As long as there is universal rejection, there will never be reconciliation. And yet another division in Judaism has been created at the hands of good people with good intentions.